A question: Is there anyone of you who could play 16 inch records? I have bought one and didn't notice the 16 inch.... and I love to hear it. Love to hear their contents. Contact me if you have an solution/idea how to work this out. Peter, the two 16" discs you describe are included in the Doris Day Definitive Discography. As far as I know the song "Oops" is the only Doris Day recording on that disc, and it very likely the same version as was released commercially. The Capitol disc is quite rare. I have it in my collection. Accoustic Resarch (AR) used to produce a turntable that barely accommodated a 16" disc. I believe the turntable was an AR-5. 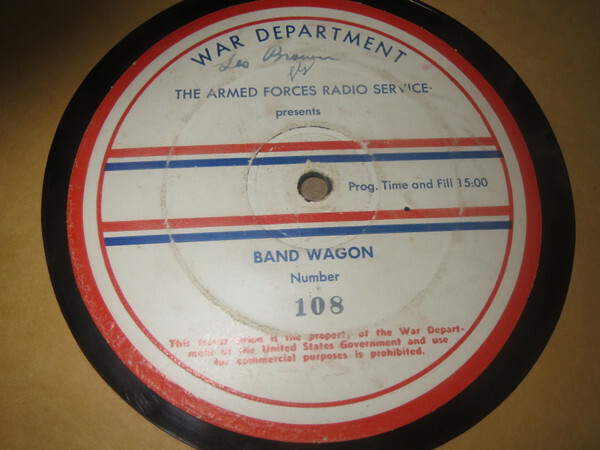 The only other solution to playing the discs is through the equipment disc jockeys have at radio stations. Hope this helps. Anyone able to play an 16 inch record already???? 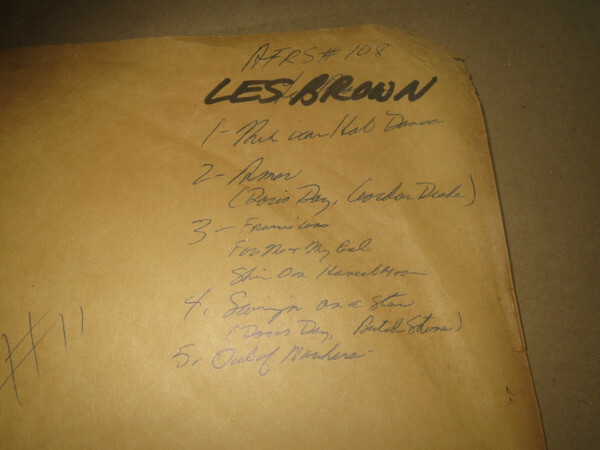 At: discogs.com there's a Les Brown Bandwagon Show available... or maybe someone has it in his/her collection already, love to hear it.